Next-day prescription delivery service now nationwide. 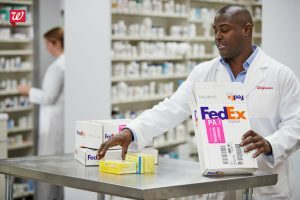 Walgreens Express allows patients to preview their cost, prepay for eligible prescriptions and choose between home delivery and in-store express pickup. Patients who prefer collecting prescriptions at their local Walgreens can enter a dedicatedRichard Ashworth pickup checkout line to receive their prescriptions.